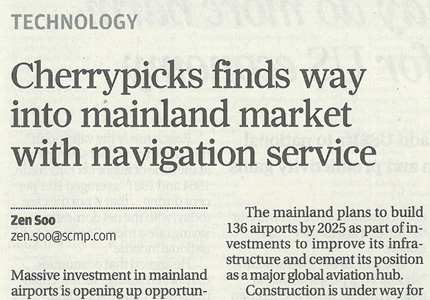 [Hong Kong] Jason Chiu, CEO of Cherrypicks, shares Starbeacon’s indoor navigation and Augmented Reality services at the Hong Kong International Airport with SCMP on 6 Dec. He discussed how Starbeacon is used by several MTR Malls and Admiralty Station to send out station alerts and indoor navigation. Jason also discussed the roadmap for Starbeacon breaking into the China market.